You've written a book - now what? If you’re like most authors you’re wearing many hats - probably too many hats. You’ve poured your heart and soul into writing your book and yet there is so much more to do. You know the primary responsibility for the marketing of your book will fall on your shoulders. But there are only so many hours in the day. So you’ve got to figure out how to best leverage your time so you can focus on the tasks that are more important – like marketing. Let us take one critical task off your plate – the task of getting your books into the hands of your customers. We’re Ship Your Books and we’ll warehouse your books and ship your orders for you so you don’t have to worry about it. The process can be entirely hands-off for you and you can rest assured, whether it’s a single copy to a waiting reader or a case of books going to an Amazon warehouse, your book fulfillment will be handled right, right away. No more cases of books stacked in your family room or garage that you are constantly tripping over. No more fighting late afternoon traffic to get to the post office before they close. No more worries – we’ve got you covered! How’s it work? We simply put in place an integration between your online shopping cart and our backend system so that when you get a new order for your book it automatically pops into our system as an order needing filled. You need do nothing once that integration is done. Orders received by noon eastern standard time for books in stock ship out that same business day. If you’re selling through a program like Amazon Advantage the process is equally easy. We’ll set up within your Amazon Advantage account a notification to our shipping department whenever you receive a new order. We’ll login to your account, confirm the order for you and ship the books to the appropriate location. Again, entirely hands off for you! Or, maybe you’re doing a pre-launch press campaign and you need to send out complimentary copies of your new book to members of the press. Just send us a spreadsheet of the names and addresses you want to get your book into the hands of and we’ll take care of it for you. Whether you have us print your books or print them elsewhere we’re happy to handle your book fulfillment needs. You can view all the terms and conditions associated with book fulfillment here, but here are the highlights of how the process works. Signup online and agree to all the terms of service. Ship us books or order them from us to print on your behalf. Set up the integration between your shopping cart and our backend system. If needed, set up the proper notifications in your Amazon Advantage account. The process is entirely hands-off for you! You get the idea. So, if you need books printed please reach out to us via email with your particular specifications. That being said, click here to see some examples of books of different sizes, page counts and quantities just to give you a rough idea of what you might be looking at. Book storage is $15 per pallet per month. A typical pallet is about 40” x 40” x 40” and, depending upon the size of the book and how it is packed, can hold anywhere from 1500 to 2000 books. If your book is oversized like a coffee table book then obviously that count would be far less. Storage space in our warehouse is at a premium, so we will try to minimize the number of pallets needed to safely store your books. Even if you ship us books and they arrive on two pallets, if they can be safely stored on a single pallet, we’ll restack the pallet to minimize your storage costs. We'll store 1 pallet or 20 pallets for you - it's entirely your choice. We’ve been blessed to work with many New York Times and Amazon bestsellers and industry leaders. Here are just a few of our more well-known book fulfillment clients. NY Times Bestselling Author "The Street Kid's Guide to Having It All"
"If you’ve even thought about changing fulfillment houses or if you’re looking to price fulfillment houses look at reliability and pricing as a combination and give them a try. I vouch for them wholeheartedly - they've never let me down." 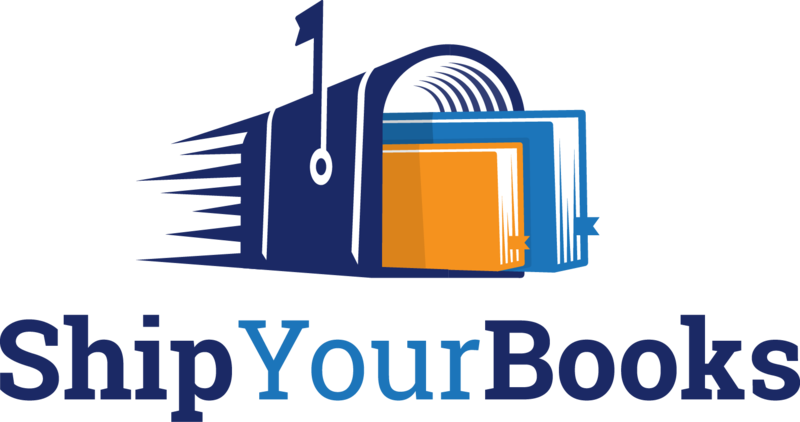 "No one else does my book fulfillment - they are fast, efficient and priced right"
"I've used Ship Your Books to manage some of my products for over 10 years. I've always been satisfied with the quality of service they provide for me and give them a two thumbs-up recommendation!" Industry Maven and Author "1001 Ways to Market Your Books"
"Working with Ship Your Books has been fantastic. They enjoy fulfillment and I'm ecstatic to have them handle that for me so I don't have to." "It's a pleasure to work with you guys. I know things are going to be done right and I love that it's all hands-off for me." "These guys are incredibly responsive and have done a great job of handling my products for over 11 years!" "The team at Ship Your Books was tasked to handle my book launch for 'Guerrilla Marketing and Joint Ventures' which resulted in it becoming an International Bestseller with thousands of units successfully packed and shipped! I highly recommend you use these guys!" "Listen up folks: any author who has aspirations to get rich has to engage the services of ShipYourBooks.com Bret Ridgway and his team are completely awesome at fulfillment. You will find yourself in professional hands. I highly endorse their special skills. Last year we passed $1 million in gross sales, thanks to their help." Bestselling & Award-Winning Author "The ABCs of Yoga for Kids"
"I have been working with Bret and Bryan and their fabulous team for many years, and the level of service I have received has exceeded all my expectations! They efficiently handle all the warehousing and shipping of my books and other products, leaving me time to focus on marketing and creating new material. I highly recommend their services to anyone who needs help getting their books into the marketplace."